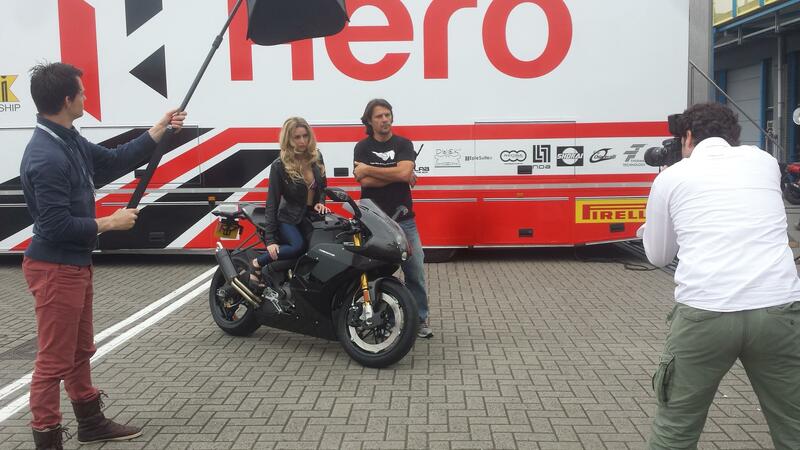 Lucienne Verheem has been cast by Acteursspot as Grid Girl for team Hero EBR at World Super Bike Assen April 2014, Netherlands. Photoshoot during the race. Lucienne with Hero EBR pilot Aaron Yates.